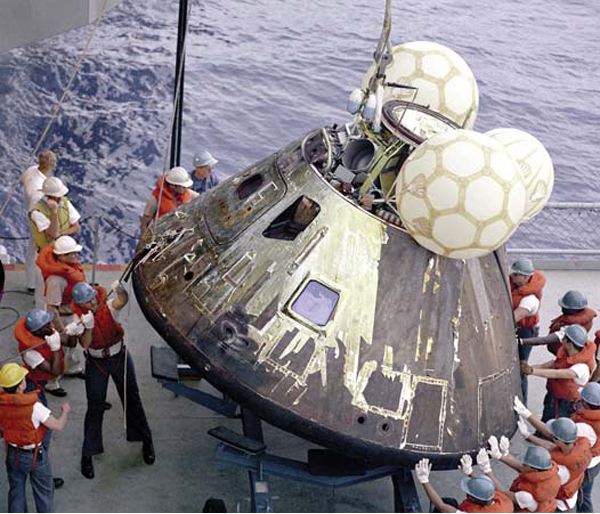 Apollo 13 oxygen tank explodes: On April 13, 1970, disaster strikes 200,000 miles from Earth when oxygen tank No. 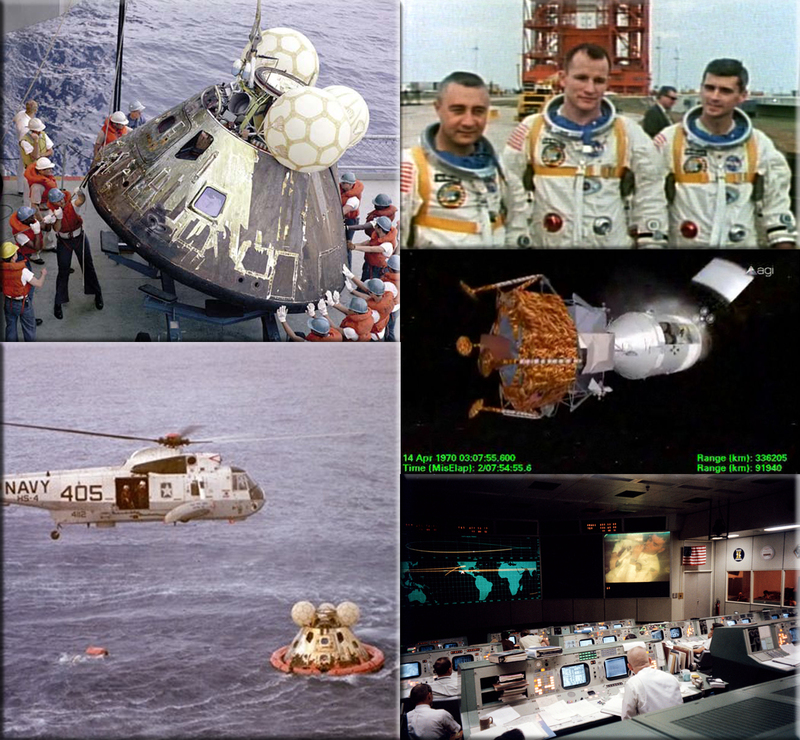 2 blows up on Apollo 13, the third manned lunar landing mission. Astronauts James A. Lovell, John L. Swigert, and Fred W. Haise had left Earth two days before for the Fra Mauro highlands of the moon but were forced to turn their attention to simply making it home alive. Mission commander Lovell reported to mission control on Earth: “Houston, we’ve had a problem here”, and it was discovered that the normal supply of oxygen, electricity, light, and water had been disrupted. The landing mission was aborted, and the astronauts and controllers on Earth scrambled to come up with emergency procedures. The crippled spacecraft continued to the moon, circled it, and began a long, cold journey back to Earth. KAISERSLAUTERN, Germany - A bright-red, mock “incoming missile” message that was mistakenly sent to all wing personnel at Spangdahlem Air Base was recalled in about eight minutes. It wasn’t enough time to cause widespread panic but it was just enough time for someone to take a screen shot of the image and post it to social media, causing the wing some embarrassment as people poked fun at the error on Facebook and it was first reported by Air Force Times. 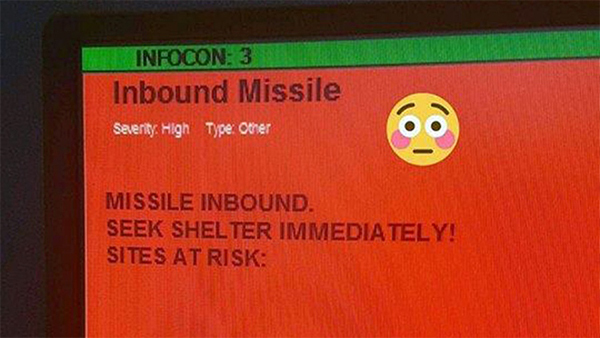 The message, which read, “MISSILE INBOUND. SEEK SHELTER IMMEDIATELY!” originated in the command post of the 52nd Fighter Wing, spokesman Maj. Bryon McGarry said. “One of the command post controllers was building a template for this specific thing that was posted”, McGarry told Stars and Stripes. “And he inadvertently sent it to everybody”, when it was supposed to be sent to only one person as a test message. People poked fun at the mistake, with comments like, “Oh look, time to change my shorts”, and “Guess you could say it’s a love rocket”, the latter being a reference to Valentine’s Day, the day the incident happened. But others criticized the need to take a screen shot of the message and share it publicly before, perhaps, even knowing if it was legitimate. Mr. Answer Man Please Tell Us: Why Don't Vultures Eat Live Prey? 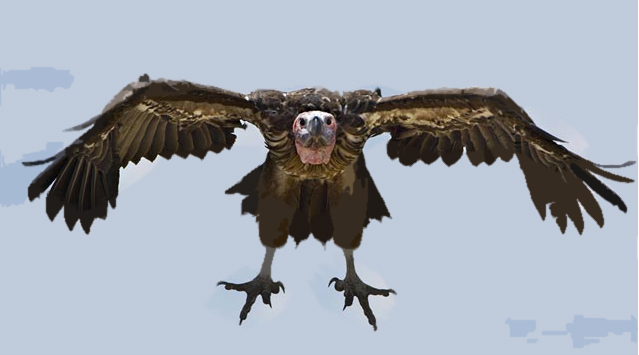 As an animal that is synonymous with death and disease, the vulture understandably has a poor reputation in many cultures across the globe, despite, ironically enough, being a huge boon to humans in terms of being able to reduce instances of death and disease. While it’s important to note that many animals eat carrion, vultures are fairly unique in that they’re able to eat carrion that has succumbed to the effects of decay and disease, a feat few stomachs in the animal kingdom can match. As an idea of just how ridiculously hardy vultures are, experiments have shown that they are all but immune to botulism and that they can happily chow down on the flesh of an animal coated in Bacillus anthracis which is better known as the bacteria that causes anthrax! They also have no problem eating an animal infected with rabies, hog cholera and numerous other diseases that would ultimately be lethal to most other scavengers. So how do they do it? Vultures are able to comfortably eat diseased carrion thanks in large part to their highly acidic gastric juices which are sufficiently strong enough to kill most bacteria before they ever become an issue. In the extreme a turkey vulture’s stomach acid could technically be almost 1000 times more acidic than yours at a given instance. In fact, it’s so acidic that it can dissolve many metals. For further reference, battery acid has a pH of about 0.8. Even when bacteria does survive the gauntlet that is the turkey vulture’s stomach, it then has to compete with its amazing vulture immune system. In regards to the latter, vultures are noted as having one of the “strongest immune systems of all vertebrates” and there are few food-borne diseases that truly pose a threat to it. 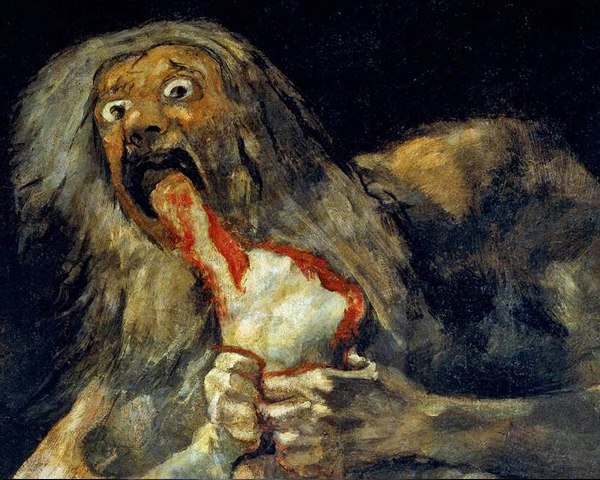 There is a point at which even a vulture will say no and flesh will be deemed too putrid or foul to eat. However, this doesn’t necessarily stop the vulture from eventually eating some of the remains. For example, the bearded vulture can live on a diet of 70%-90% bone. In fact, according to studies conducted on bearded vultures, this diet is actually more efficient than a diet of fresh meat because bones have a higher caloric content and the bones will last indefinitely, unlike flesh. So long after the flesh has gone, the remaining bones are still fair game for the bearded vulture. Vultures notably urinate and defecate all over themselves while they eat which, thanks to the highly acidic nature of their bodily waste, kills any bacteria that makes its way onto the vulture’s legs. This also has the side effect of sterilising the area around the carcass, also stopping disease from spreading. 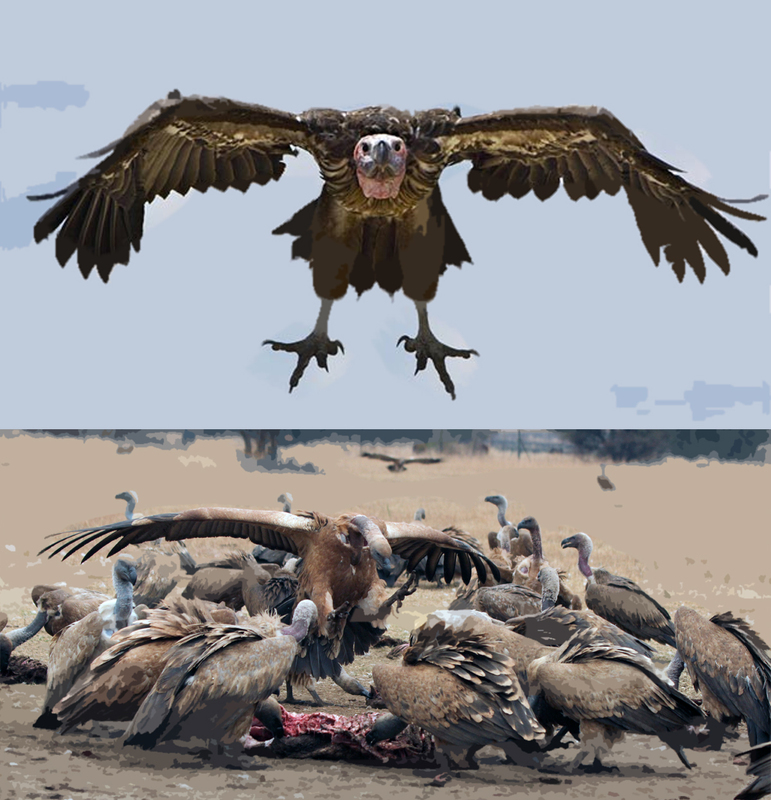 To illustrate what can happen without the vultures in some areas, in India, a massive decline in vulture populations led to an explosion in the population of feral dogs and rats with whom the vultures formerly competed for carcasses. These animals, unlike the “dead-end” vultures, are vectors for numerous diseases including rabies. The remains of the carcasses that were formerly picked clean by the vultures are also now contaminating water supplies causing further disease issues. It may surprise you to learn the bulky vulture is actually one of the highest flying animals on Earth, with some varieties capable of flying at elevations as high as 40,000 feet! For reference, Mount Everest is about 29,029 feet in elevation. “Cold Shoulder:” Meaning: Made to feel unwelcome. A display of coldness or indifference, intended to wound. Origin: Nothing to do with barging someone out of the way. In times gone by, an unwelcome visitor would have been given the cheapest and most common type of food: cold shoulder of mutton. OBA: Oxygen Breathing Apparatus. Used mostly to supply breathing air to shipboard firefighters before civilian firefighter equipment was approved and adopted. Before OBAs the Navy developed and used RBAs - Rescue Breathing Apparatus. OBE: Overcome By Events. Moot. OBNOB: Only Black Nuke Onboard. Self-explanatory. Usually only found on submarines due to a significantly smaller number of nukes stationed onboard a submarine vis-à-vis a carrier. PCP: Physical Conditioning Program, exercise regimen for Marines failing to meet the minimum physical requirements; also Physical Conditioning Platoon, for the unit where a physically unfit recruit is sent prior to recruit training, nicknamed Pork Chop Platoon. PFT: Physical Fitness Test, a semiannual test measuring strength, agility, and endurance by scoring performance in pull-ups (flexed-arm hang for females), abdominal crunches, and a 3-mile run. PRT: Physical Readiness Test, an annual test conducted in utilities, with rifle and web gear. consisted of a rope climb, step-ups, fireman's carry, fire & maneuver course and a 3-mile run. 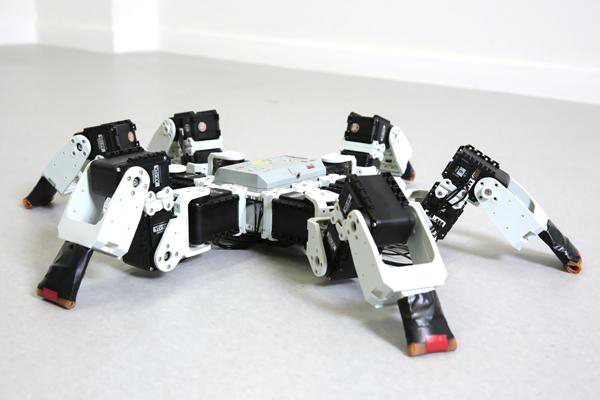 Researchers have discovered a faster and more efficient gait, never observed in nature, for six-legged robots walking on flat ground. Bio-inspired gaits -- less efficient for robots -- are used by real insects since they have adhesive pads to walk in three dimensions. 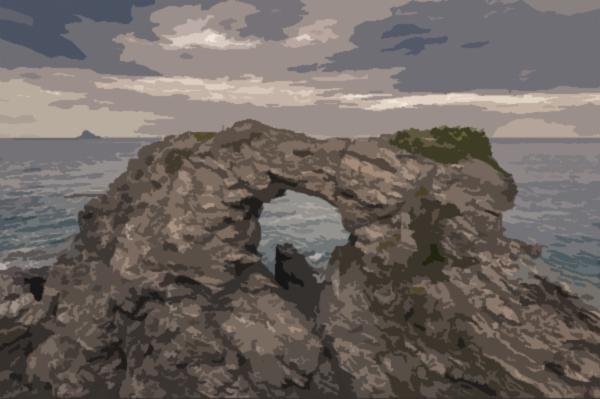 The results provide novel approaches for roboticists and new information to biologists. When vertebrates run, their legs exhibit minimal contact with the ground. But insects are different. These six-legged creatures run fastest using a three-legged, or “tripod” gait where they have three legs on the ground at all times -- two on one side of their body and one on the other. The tripod gait has long inspired engineers who design six-legged robots, but is it necessarily the fastest and most efficient way for bio-inspired robots to move on the ground? The experimenters examined real insects. To see if leg adhesion might also play a role in the walking coordination of real flies, they put polymer drops on the flies' legs to cover their claws and adhesive pads - as if the flies were wearing boots - and watched what happened. Album: Why Can't We Be Friends? A low rider is a car, and also a culture. “Low Riders” are modified with hydraulic lifts that allow the driver to lower each wheel and make the car bounce. They are often customized with outrageous paint jobs, tiny steering wheels and swivel seats. The culture formed around these cars is big in the Southwestern U.S., and popular in Latino culture. Most of the band grew up in Southern California and were immersed in low rider culture. From the opening percussion and boss bass riff all the way to that wailing saxophone outro, War unleashed an irresistible funky groove with their hit “Low Rider”. 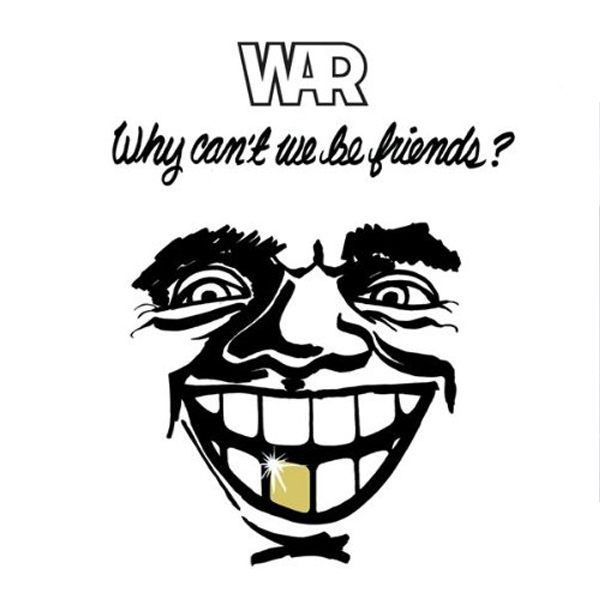 War were a very unique band, mixing funk with Latin, jazz, rock, soul and pop to make a sound that was truly their own. ‘Low Rider’ delivered a groove that was somehow both slinky and chunky, even funkier vocals, and a catchy as hell harmonica riff, courtesy of Lee Oskar — one of the true masters of the instrument. This song was ubiquitous that summer and has taken on a life of its own in the years that followed. It has been used in countless movies, commercials and television shows and still gets airplay on oldies and classic rock radio. The group was known as Nite Shift before they were asked to back up Eric Burdon and renamed War. 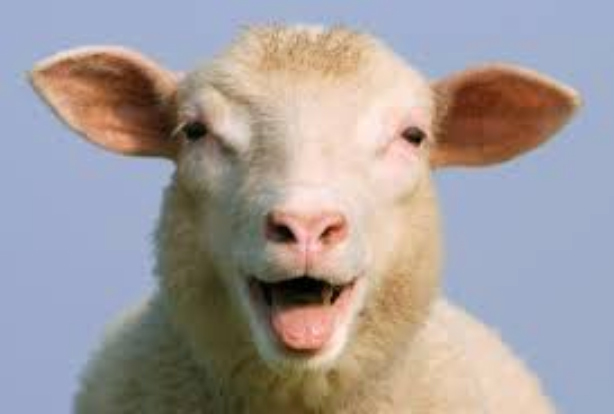 Burdon had been lead singer of The Animals, and brought them instant notoriety. After two albums and the hit “Spill The Wine” , Burdon left War, but the band continued without him, racking up several hits in the '70s. 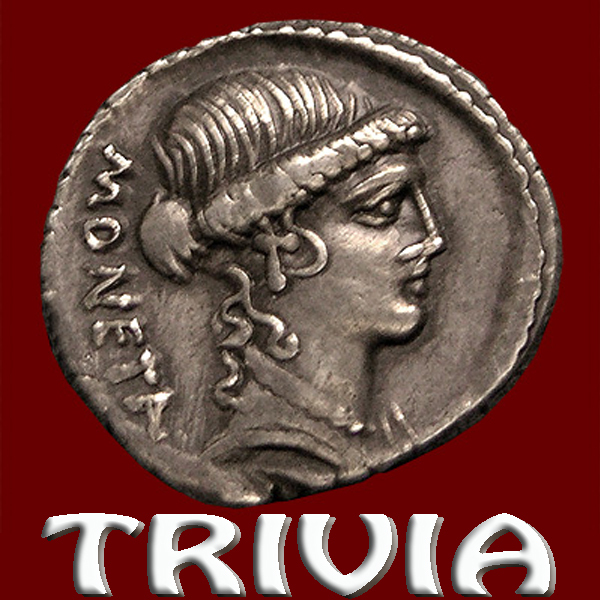 ● In ancient Rome a special factory was established and dedicated to the Roman God Juno Moneta - the word money is derived from the name Moneta, and such a factory is called a mint. ● Olympia is the capital city of Washington state named after the site of the ancient Olympic Games. ● Multimedia icon Dr. Michael Savage vowed to sue British Home Secretary Jacqui Smith, after she placed his name on the list of the 16 “least wanted” visitors to Britain. She banned Savage from entering the country, due to his “hate speech”. A man sits down at a bar and orders a double martini. After he finishes, he peeks inside his shirt pocket, then orders another. After he finishes that, he again peeks inside his shirt pocket and orders another double martini. That soil scientist always travels by himself. He's a loam ranger.